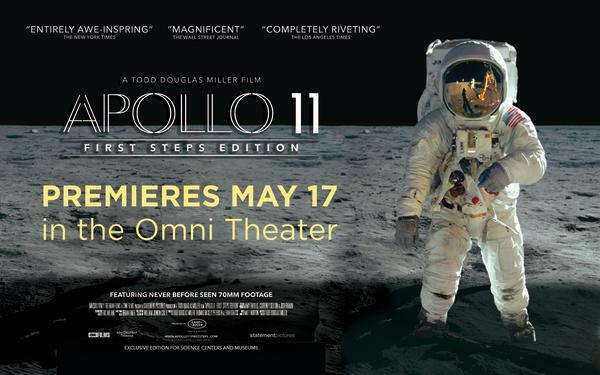 Timed to coincide with the 50th anniversary of NASA’s celebrated Apollo 11 mission, Apollo 11: First Steps Edition is a thrilling cinematic experience showcasing the real-life moments of the first lunar landing. With never-before-seen 70mm footage and a trove of newly discovered audio recordings, the filmmakers reconstruct the exhilarating final moments of preparation, liftoff, landing and return of this historic mission—one of humanity’s greatest achievements and the first to put men on the moon. Immersed in the perspectives of the astronauts, the team in Mission Control, and the millions of spectators on the ground, we vividly experience those momentous days and hours in 1969 when humankind took a giant leap into the future, leaving us marveling at human ingenuity and the impulse that led us into space. Directed by Todd Douglas Miller, Apollo 11: First Steps Edition is produced by Statement Pictures in partnership with CNN Films and presented by Land Rover and Samsung. The film is distributed by MacGillivray Freeman Films.